Bulova L3 - 1953 Director model, (I think) 10k gold. genuine handmade black crocodile leather, made in Italy (not original Bulova). The watch works perfectly. Very light scratch on the gold and the cristal because of its age. But in general, the watch is perfect. thank you. I thought that L3 ment L for the 50' and 3 for 53. L3 does stand or 1953. Your watch has a 10k Rolled Gold plate bezel and stainlless back. Case is the "Director" however the dial is not, IMO, original to the watch. The shape and figures are not a match witth the ad. Non Conforming would be my call. Sorry, I'm Frenh and my English is not that good. I don't understand. Does it mean it is a fake ? What "non conforming" means ? What does IMO means ? The dial looks like the one of the picture of the Bulova 1950 Andrew (which is also different from the ad). For now, I must agree with Mark, unknown. Hello Itabuteau, welcome to myBulova. It is a very nice watch you have shown us. I think this is a 1953 Director model watch. I do not think the difference in the dial is a problem. Very strange, The pictures that goes with my watch in the "for sell section" are not my watch. The file name for your watch photos were the same as other users have used for their photos and as such the system displays those file name images. As advised when uploading watch images please ensure that the file names you use are unique. I have renamed your photos so they now appear correct on the for sale page. 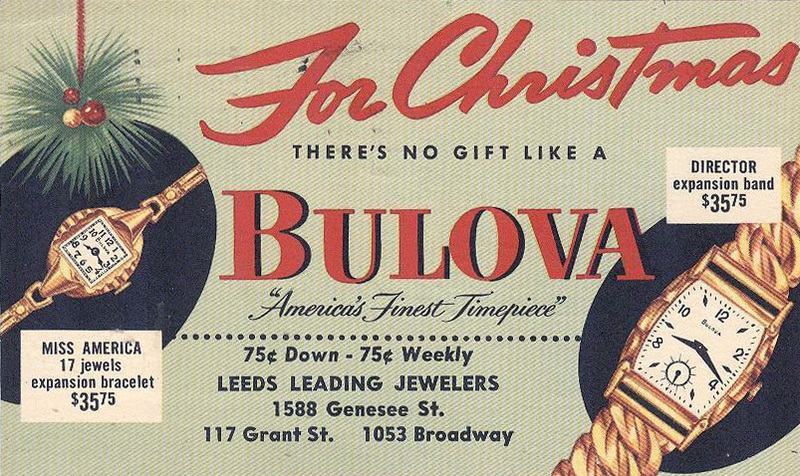 Please include the date the image was added to the myBulova website in the filename. This will help stop watch images becoming mixed up with other models.